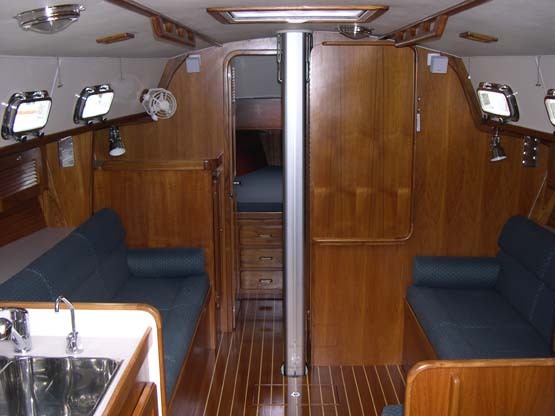 In September 2004 we took delivery of our "dream boat", a new Caliber 35 LRC (Long Range Cruiser) that we christened Alisios, the name the old Spanish explorers gave the tradewinds that carried them across the ocean. With her we continued our cruises of the Chesapeake Bay and far beyond. 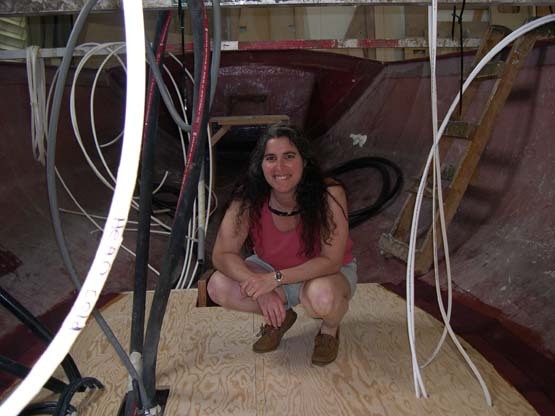 In June 2005 we sailed her up the Atlantic coast to New York City, around Long Island, and back. 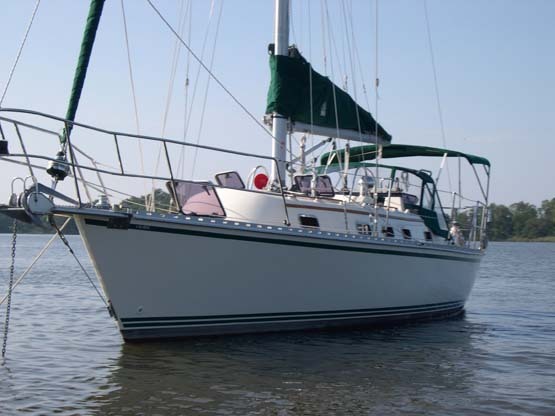 In October 2007, we took a leave of absence from work, moved aboard for 7 months, sailed her down the ICW and over to and through the Bahamas and back. 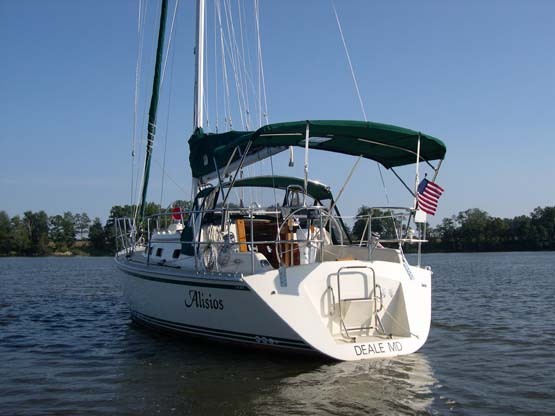 We continued sailing the central Chesapeake until selling her in the Spring of 2015.